The lightness, strength and high melting point of titanium alloys make it quite desirable for use in the aerospace industry or in many automotive applications. In many instances the metals need to be plated, but when using the standard zincate or stannate pretreatments, transition metals such as copper, chromium, nickel, etc. do not form good bonds to the light non transition elements. 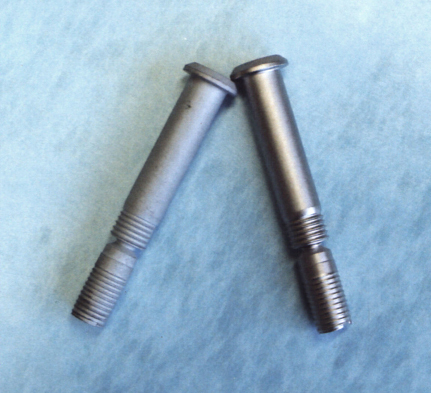 Therefore, the electroplating of titanium is commonly considered as an “impossible” process. The reason it is desirable to use electroless nickel (EN) on Titanium is that it improves thermal conductivity, accepts other electroplate such as gold. Electroless nickel also improves high-temperature oxidation, stress/corrosion properties and permits brazing and soldering. Now you can stop using ineffective zincate or stannate for as a surface pretreatment for plating titanium. SafeGard CC Plating catalyst reduces the complexity of electrolysis nickel plating (EN) process on titanium and insures successful plating. SafeGard Plating Catalyst is an environmentally acceptable and easy to work with alternative process that does not require the metalizing of the metals to be plated or extensive cleaning and deoxidization procedures. How easy is our process? The important thing to remember is that titanium forms a rather tenacious oxide on the surface almost instantaneously when exposed to the atmosphere. Hence, the steps in the above process must be performed rapidly. Now the titanium surface is ready for electroplating, electroless nickel or the surface could be painted or powder coated.